Imagine a piano. 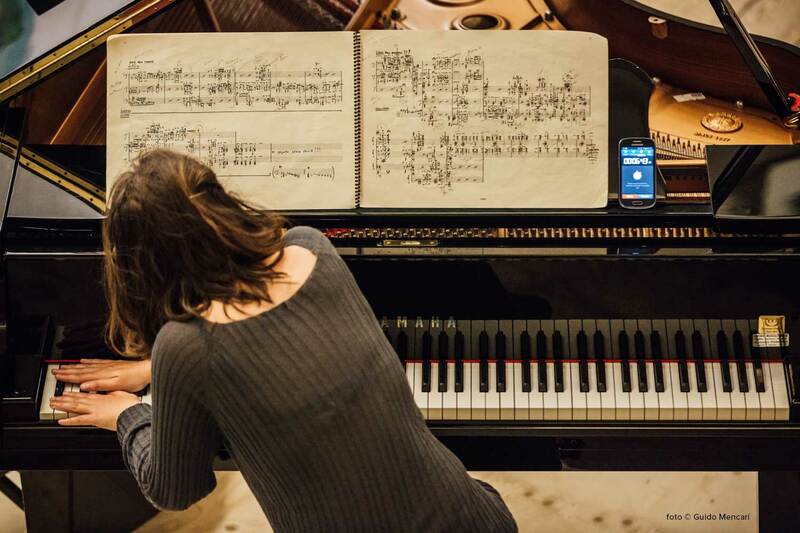 A pianist sits down and…..
if notes, arpeggios and scales were not enough anymore? If instead of fingers, the pianist played with fists, knees or nails? If touching the keys was not the only way to produce sound? And if the pianist told you a story?or began to whistle?or blew you a kiss? Die Sprechende Pianistin is a project inspired by the contemporary music repertoire where words and gestures are equal to sounds. The pieces chosen range from Stockhausen to Filidei, the pianist develop new skills and explore new sounds in a new and challenging approach to the instrument.